Having fun during a break from training. It wasn’t all work and no play for a few members of The Smile Center staff. They relaxed at the Mall of America after spending their afternoons in dental meetings. On April 26th-28th, The Smile Center staff attended the 2012 Star of the North Dental Meeting in St. Paul, Minnesota. The team enjoyed speakers such as Dr. Lee Ann Brady, a leading educator and innovator in the area of esthetic dentistry. They learned about smile design, novel dental materials, and fabricating provisional crowns. Staff members also learned about periodontal disease, whitening, photography, and thriving in the current economy. 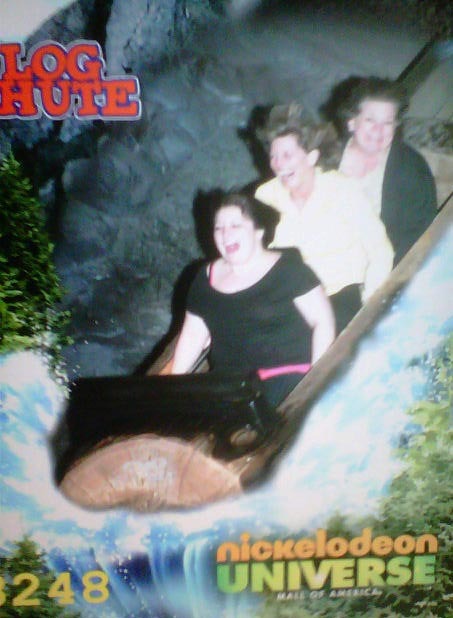 The Image is from some of the staff on the rides at the Mall of America. Nothing like a little fun time to bring out those big smiles!